Seven years earlier, France's top chef, Marc Fraysse, summoned the world's culinary press to his remote restaurant in central France to make an announcement that he said would cause shockwaves in the culinary community. Speculating that Fraysse's restaurant was about to lose one of his precious Michelin stars, the reporters were shocked to find instead that the great chef had been murdered. In the end, the media left without a clue about the message the chef intended to deliver or about who might have killed him. Continuing his string of investigations into stubborn cold cases, ex-forensics superstar Enzo Macleod takes on the case, diving into the big business and high stakes of French haute cuisine. Winter has settled in around the mountaintop restaurant, causing complications. And as he learns more about the complex web of relationships that surrounded the celebrated (if also mercurial) chef--a spurned lover, a jealous wife, an estranged brother, an embittered food critic--Macleod begins to see parallels with his own life and loves. In diving into this new case, he finds himself reopening old wounds of his own . 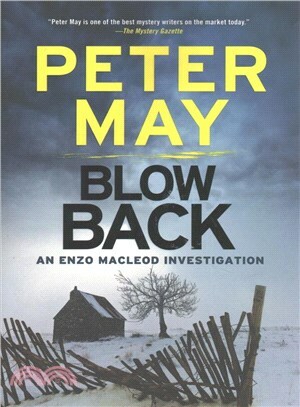 . .
Peter May was born and raised in Scotland. He was an award-winning journalist at the age of twenty-one and a published novelist at twenty-six. When his first book was adapted as a major drama series for the BBC, he quit journalism and during the high-octane fifteen years that followed, became one of Scotland's most successful television dramatists. He created three prime-time drama series, presided over two of the highest-rated serials in his homeland as script editor and producer, and worked on more than 1,000 episodes of ratings-topping drama before deciding to leave television to return to his first love, writing novels. He has won several literature awards in France; received several English-language awards, including the Barry Award for The Blackhouse, the first volume in his internationally bestselling Lewis Trilogy; and in 2014 he won the ITV Specsavers Crime Thriller Book Club Best Read of the Year award for Entry Island. Peter now lives in southwest France with his wife, writer Janice Hally.